Nothing says yum to me quite like an ooey, gooey, cheesy sauce. 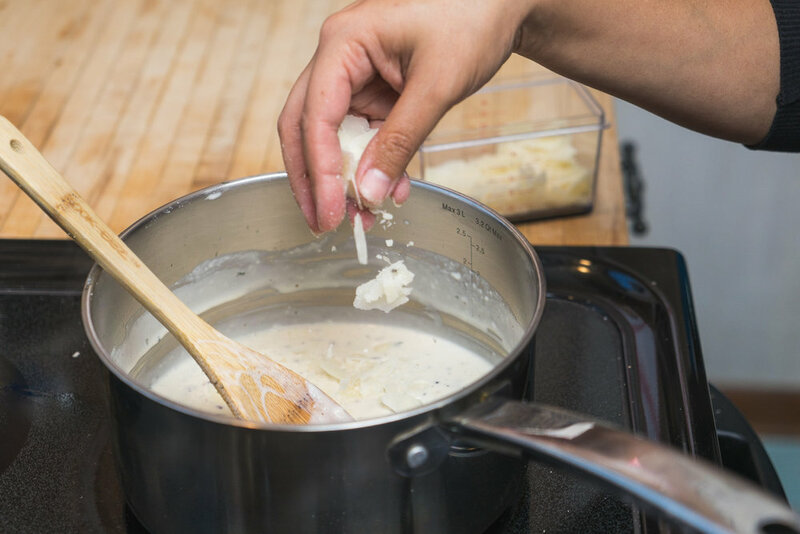 When the mood for rich comfort in a cheese package strikes, I whip up a pot of Alfredo sauce that is just begging to be sopped up by a wide assortment of yummy nibbles. This recipe for Alfredo is wonderful because takes minimal time and effort to prepare but spares no expense when it comes to the flavor! This recipe is perfect over your favorite pasta with some salad and bread on the side. You can also add cooked chicken or sausage if you are feeling carnivorous or some steamed broccoli if you are feeling the need for some green. No matter how you dress it, this sauce is a winner! Heat the butter in a sauce pan over medium heat. Add onion to melted butter and cook for 5-8 minutes or until onions start to become golden at the very edges (do not over brown!). Add the garlic and stir until well combined. 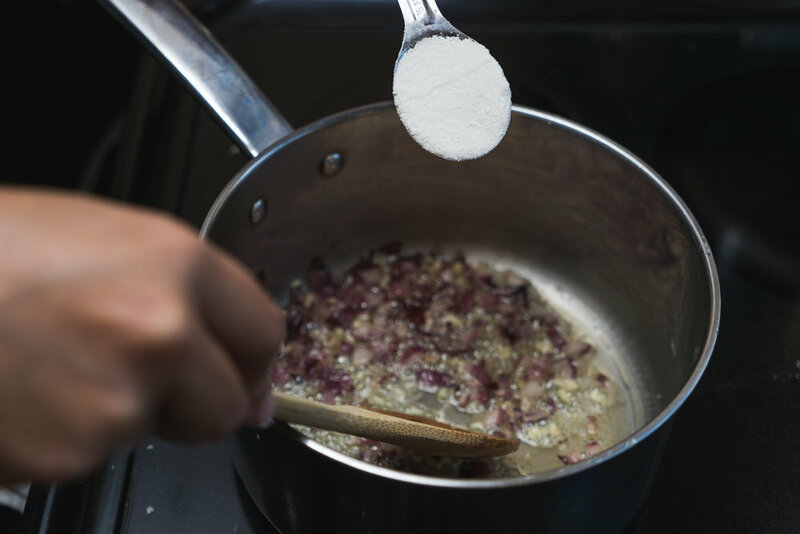 Remove the pan from direct heat and add the flour, stirring until completely combined. Return to heat and slowly add the heavy cream, mixing out all lumps and bumps, scraping the bottom to ensure nothing is sticking. Once smooth and fully mixed, remove from direct heat and season with nutmeg, parsley, salt and pepper. Stir until completely mixed, taste and adjust seasonings for taste. Return to direct heat and add the parmesan cheese by small handfuls. Mix well between handfuls and ensure cheese is fully melted then continue to add until all cheese has been incorporated. Continuously stir until sauce thickens to your liking. Add any desired additional ingredients (chicken, broccoli, etc.) and enjoy! 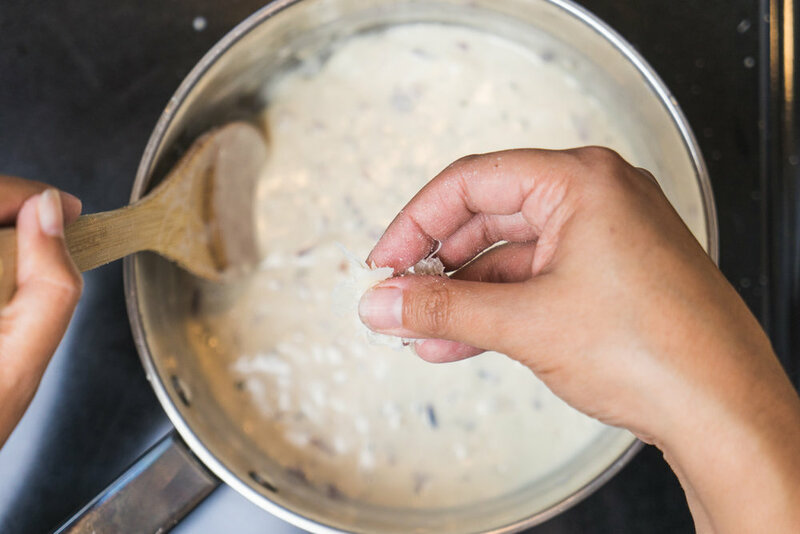 If you prefer a thinner Alfredo sauce, you may substitute the heavy cream for light cream which will result in a slightly, thinner and runnier sauce. 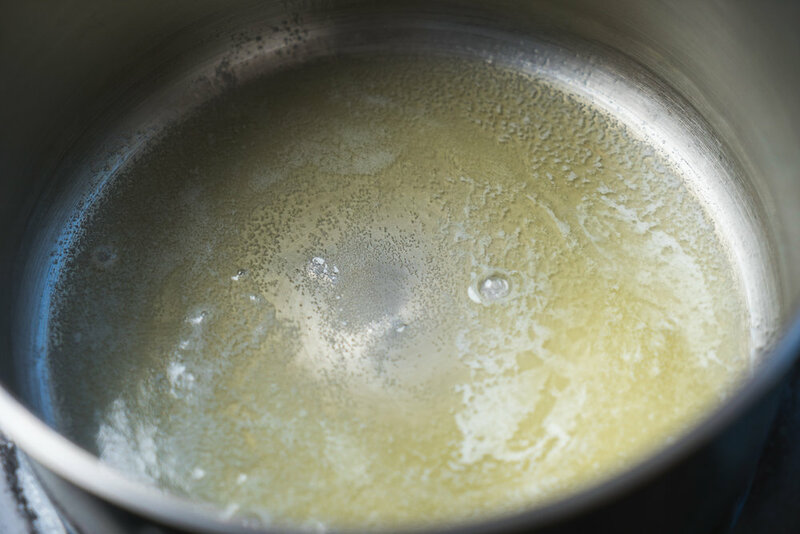 If the sauce is too thick for your liking after you have added the cheese, you may add a bit of milk to the pan and combine over low heat until you reach the consistency you prefer.